Minister for Culture Hon Brenda Hood, Chair of the Grenada Cultural Foundation Jocelyn Sylvester-Gairy, and cultural ambassador Richardo Keens-Douglas, together with members of the business community, art colleagues and friends, gathered yesterday evening for the opening of an exhibition and artist talk by Suelin Low Chew Tung. 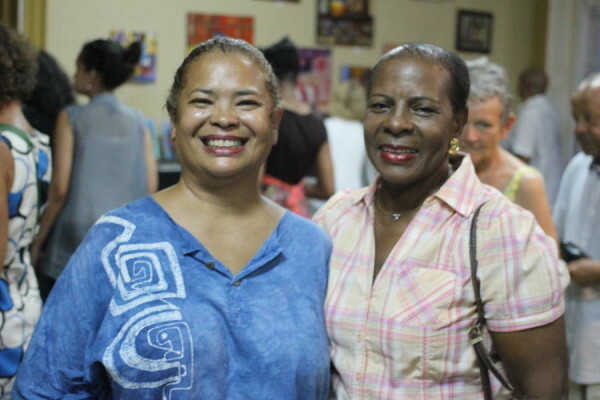 Held in the Antilles Room of the Grenada National Museum (GNM), this art event, I Dream of Grenada… in other places, was co-hosted by Yellow Poui art gallery, and the GNM. 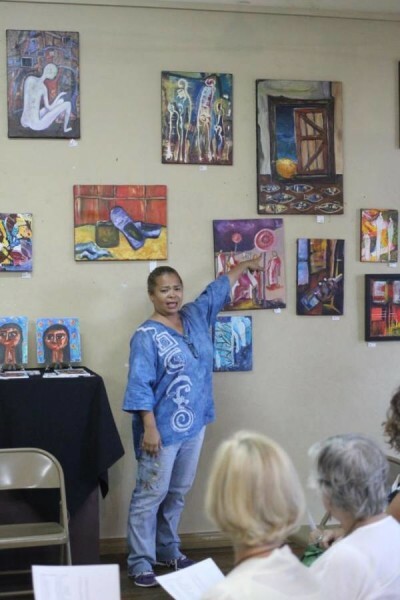 The artist spoke about the influences of her travels on her work, and connections made with Grenada, and the need for local artists to broaden their horizons through travel, and cultural exchange. She alsospoke about her participating in artist residencies and art camps – apart from learning new techniques, and new ways to making art, there is opportunity to network, to learn about other cultures, and to expose Grenadian culture. She explained some of the paintings on display, connecting them to countries she has visited, either to participate in art policy workshops, women’s conferences, and art residencies, and described dreaming about Grenada in those locations. She also spoke about using the extensive history of the country as reference for future works. A favourite piece with several of the audience was titled I Dream in Carriacou. This painting was of a papaya resting on the sill of an open window, under which fish swam. After the artist talk concluded, the audience viewed the exhibition, and several artworks were purchased on the spot. The show concludes tomorrow, Friday. She leaves next Tuesday, 29 July, bound for a month of cultural and creative exchange – at the Velika Planina Artists Workshop, in Kamnik Slovenia, followed by the 19th Inter-Art Foundation International art camp, in Aiud, Romania.